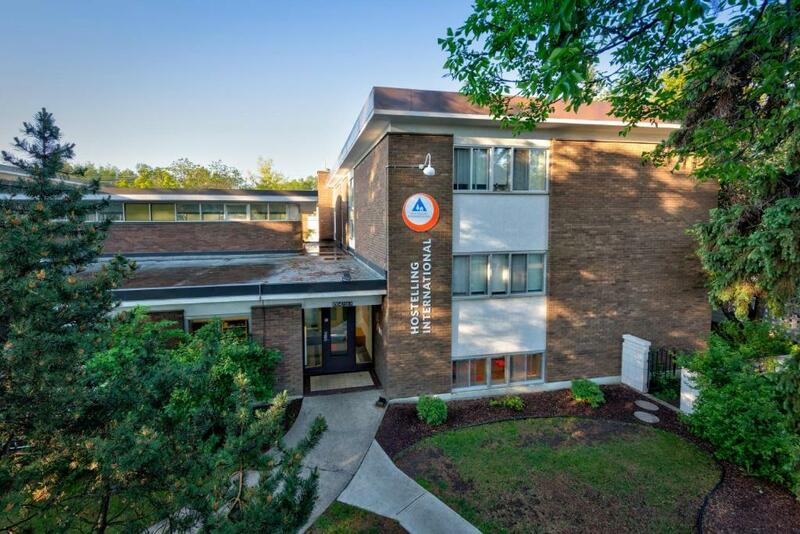 Lock in a great price for HI Edmonton – rated 8.5 by recent guests! The staff were friendly and helpful. Very clean facility. Their staffs are awesome and very good location for food and transit. The staff at this location is always really helpful and friendly. The hostel has different events planned through the week. Everything is kept clean. 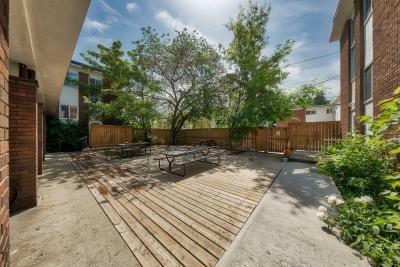 It is located right off of Whyte ave where a lot of popular bars and hang outs are. There are many vegan/vegetarian options as far as food goes in the area as well. It is also not too far of a walk to the river, which has many trails you can hike on. 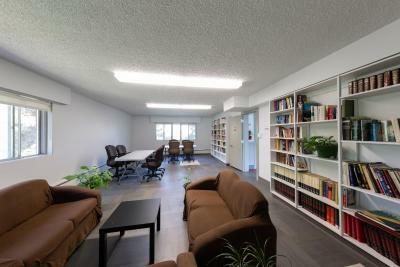 In the hostel itself they also provide a lot of literature as to what to do in the city and surrounding areas. 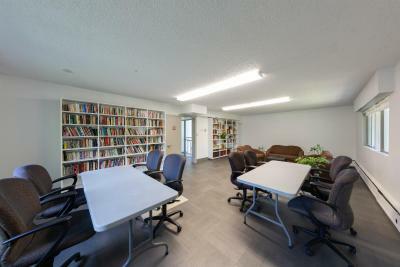 They have board games available, a library, and a courtyard. Guests tend to be quiet and not disruptive. If there is an issue then staff takes care of it promptly. I love the staff at the front desk, very friendly and exceptional helpful. The location was in residential area which made the place excellently quiet. 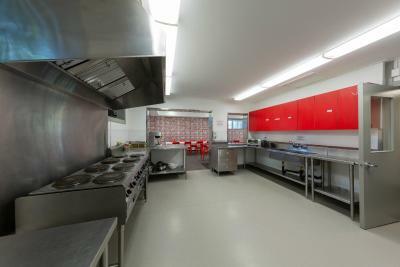 The facilities were very good! The kitchen was big and spacious, so were the bedrooms; the bunk beds were so steady that they wouldn’t make squeaky sound; the lockers were very big as well. The staff were super friendly and kind. Love this place! Everything you'd expect from a HI - bunk beds, decent kitchen, clean bathrooms (with a little more privacy than I've had in other HIs!). 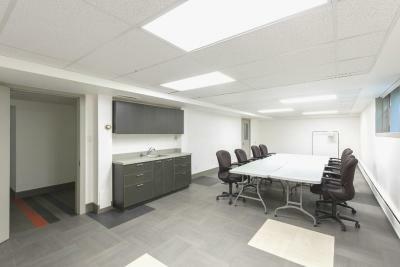 The location is great, just off Whyte with bars and restaurants a short walk away. The hostel puts on nights out and the staff are really knowledgable. The whole place was super clean. 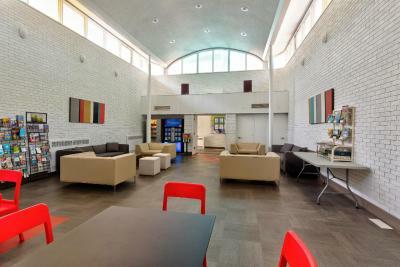 Lots of space to sit and relax or to meet new people. Staff was nice and helpful. Lots of information about the area around the hostel. Great place for first time and returning visitors. 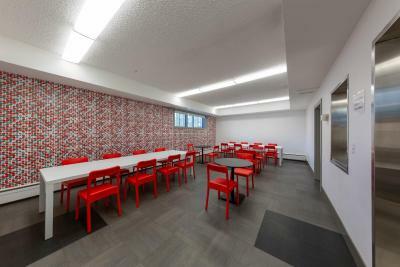 Just off the Whyte Avenue entertainment strip, this Edmonton hostel is within 1.9 mi of the University of Alberta. 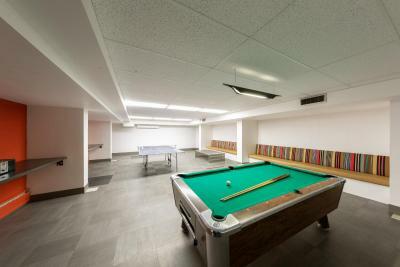 Free amenities include parking, Wi-Fi, linens and towels. 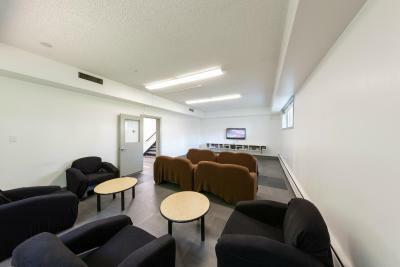 Hosteling International Edmonton features private and shared dormitory rooms. 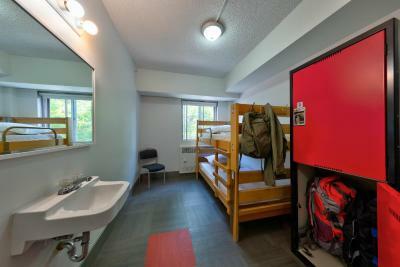 Free lockers are offered in each room for storage. Ironing facilities are available upon request. 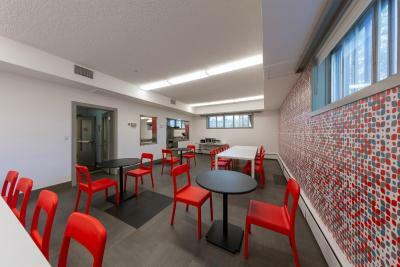 Guests at the Edmonton Hosteling International will have access to free coffee and tea throughout the day. 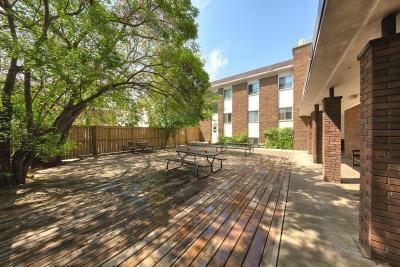 The private outdoor courtyard offers barbecue facilities. 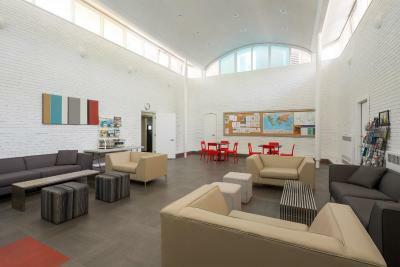 A TV room, self catering kitchen and library are also available. Downtown Edmonton is across the North Saskatchewan River from Hosteling International. The West Edmonton Mall is within 3.1 mi of the hostel. When would you like to stay at HI Edmonton? This room includes free Wi-Fi. Select rooms offer an en suite sink. This room includes free Wi-Fi and a shared bathroom. Select rooms have an in-room sink. This room includes free Wi-Fi and a shared bathroom. House Rules HI Edmonton takes special requests – add in the next step! One child from 6 to 12 years is charged CAD 15 per night when using existing beds. HI Edmonton accepts these cards and reserves the right to temporarily hold an amount prior to arrival. For the safety and comfort of all guests, children 12 and under are accommodated in private rooms only. Children 13 to 17 who stay in shared dorm rooms must be accompanied by a legal guardian. Noise was a major issue on one of our 3 nights. I understand people are generally inconsiderate to others - talking in normal voice (not even trying to lower their volume) outside or close to our room after midnight - but there comes a time (2-3am), when the staff need to step in and ask people to keep the noise down. Quiet time is supposed to be from 11pm to 6am and this needs to be enforced. Not easy, but if you state it, you must enforce it. I've stayed in other HI before and I've never had a worse nights sleep than I had here. 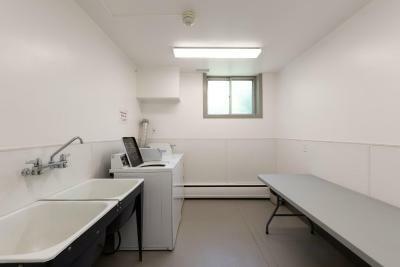 Private rooms are a good option, bunk beds were comfortable and good to have your own sink. Location is good for Whyte - lots of food options close by as well as Safeway just 5/10 mins away. Also just a 15/20min walk to the University. Communal areas pretty good - lots of books in their take one/leave one library. I can’t say a thing. 10/10 would recommend the hostel is an amazing place run by a team of amazing people. Staying there was really cool they have nightly fun stuff planned, a big open kitchen so you can make and store your food, recycling, a take a book leave a book library, shout out to the person that picks Percy Jackson. Also really, really clean. The place was cared for and a really warm environment and you could feel it. I think the hostel is a really awesome and I am very happy and grateful for my stay there. Bunk beds were too low. Felt like they are for kids and not adults. The bottom was too close to the upper bed and I even couldn’t sit straight on the bottom bed. It's winter, so perhaps a floor-mat to keep snowy footwear off the floor in my private room would help keep the floor dry - towels are a bit small - but was thankful they were provided. The location to the UofA and restaurants on Whyte Ave where outstanding. My private room was small, but warm and comfortable. Staff was outstanding, hostel was spotless, value for dollar was supreme. Will definitely stay here again if accommodations in Edmonton are needed.